Need a unique casual blazer for fall weather that you can wear with both jeans or dress pants. Try Stacy Adams. 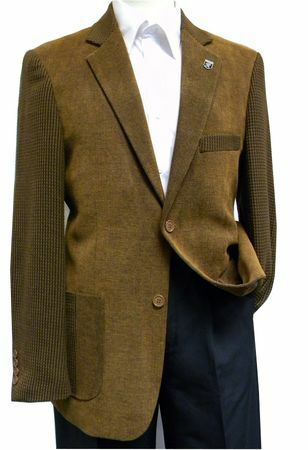 This light brown color blazer features a combination of corduroy type fabrics for a truly unique look and feel. Featuring a classy but casual style that will look like you have Autumn fully under control.